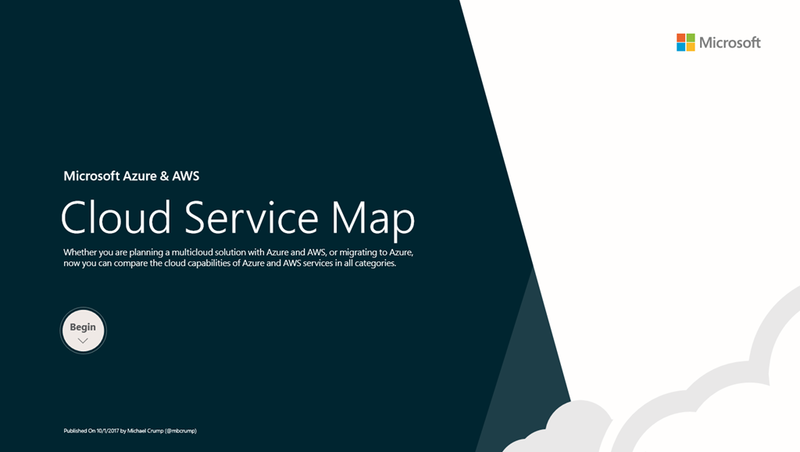 Microsoft recently introduced a new Cloud Service Map to help customers and developers quickly compare the capabilities between Amazon Web Services and Microsoft’s Azure cloud platform across all categories. 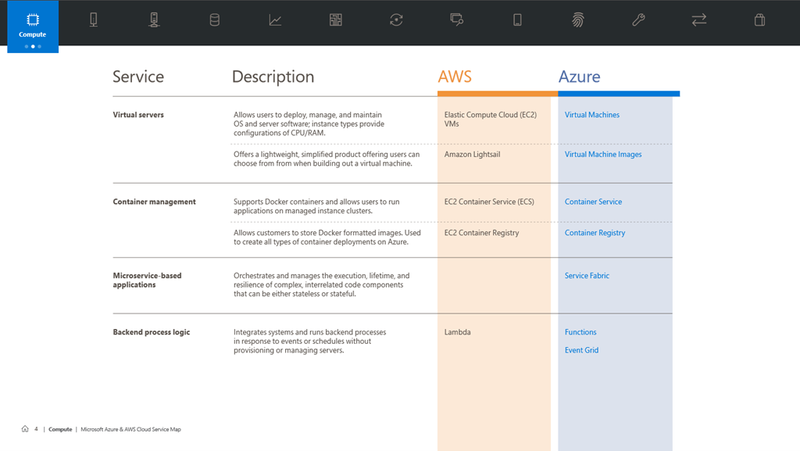 You can leverage this guide for planning multi-cloud solutions or simply to migrate from AWS to Azure. This guidance is laid out in a convenient table that lets you quickly find and learn more about each of the services you’re most interested in. In this instance, you can quickly see the service name, description and the name of the services in AWS and Azure. Links are also provided for each of the Azure services.